Surely ConGradts is a contraction of "Congratulations to all graduates and graduands"? I mean come on, Congradts is a nonce word and not a contraction of anything! Yeah, like Tim said it's part of the sun, not an apostrophe. 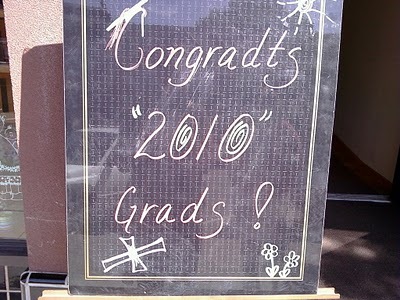 spelling is obviously wrong, but isn't the apostrophe appropriate because congrats is a contraction of congratulations?